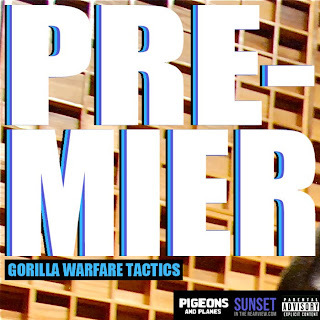 Gorilla Warfare Tactics have been on my radar for the last month since they appeared pretty much from no where and became heavily talked about, and for good reason. Their flow, their rhymes, along with their beats are crazy good and much needed in the realm of hip hop. The old school vibe is making a comeback as a few new artists are doing it, but none better than Gorilla Warfare Tactics. The EP is short, but at least it gives us something more than the two songs they presented earlier in the past few weeks. This EP is making me crave a full mixtape, but we will have to wait until summer. In the mean time you can download the EP for free below and listen to "Skitzo" a dope track from Premier. It's sponsored by some cool peeps over at Pigeons & Planes and Sunset in the Rearview. Support Gorilla Warfare Tactics and show them some love.